A balloon delivery is a nice way to say "Thank You," "Happy Birthday," or simply "I am thinking of you." But you might not have the time to drop by in a shop, buy a balloon bouquet and deliver it yourself. That's where balloon delivery services come in handy. We've put together some tips to help you getting best value for your money when choosing a delivery service. You are in a hurry? Can't be bothered to do the research yourself? Then go directly to our featured delivery service - they have a nice selection of balloon bouquets for various occasions at reasonable prices and offer same day delivery. Local delivery: You contact a local florist or specialty balloon / party boutique to do delivery on your behalf. Check your yellow pages or search on the internet for 'balloon delivery' plus your city or region name. Intercity / international delivery: You can either contact your local balloon store (if there is one) or choose a good online balloon service. A bit of research on the internet will reveal a variety of comprehensive online websites that offer you a wide range of services. You can choose balloons of your desired color, shape, design, style and message while not even leaving your home. A few companies which market and sell balloons offer free delivery of balloons within the city. Some will charge a fixed, cheap price for deliveries within a certain radius. Make sure to check how much you'll have to pay for any additional miles beyond the given distance. 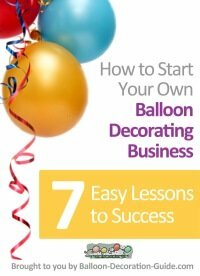 Ideally you'll find a delivery service that specializes in balloon decorations. 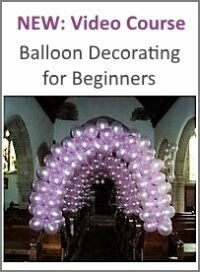 Not only will they know exactly how to create stunningly beautiful balloon bouquets, but they will also have a much bigger selection than a florist shop. Not all balloon decorators will do delivery though. Check their web sites or phone them to find out. If you cannot find a balloon professional that delivers in your location, order the balloons from a flower or florist service. Many national florists carry balloon bouquets that can be delivered with or without a flower order. Next day delivery is standard for most services. Some businesses do not deliver on a Saturday. 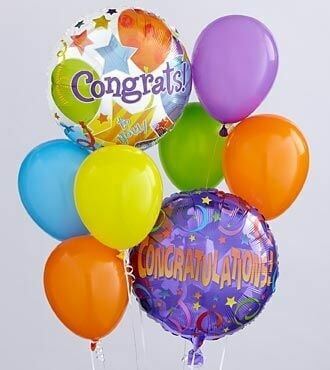 And if you want your balloons delivered on a Monday, you might have to place your order by Friday afternoon. You will find various companies that also offer same day delivery. Always check how much more you'll have to pay for this extra service and by what time your order needs to be confirmed. I've seen confirmation times vary between 10am and 3pm. Add some extra "spice" to your present by choosing a balloon delivery service that offers add-ons matched to the occasion, like a cute teddy bear, a bottle of champagne, a long stemmed rose or a mini cake. A singing telegram adds rhythm to your greeting. To personalize your message even more, some companies let you even record your own message - whether you sing or just talk is up to you! 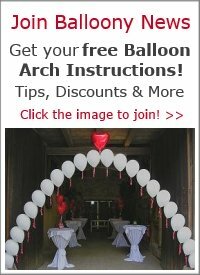 A great variation to delivering a balloon bouquet is the so-called "balloon in a box." When the lucky recipient opens the big white carton, the balloon will come floating out and hang in mid-air in front of him. Most importantly, the service should be able to provide the delivery confirmation promptly either through online tracking or via 24-hour customer service. If you request a signature confirmation when making the purchase, it will be an added benefit as this ensures you have a record of who signed and received the delivery. 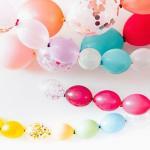 Keep our tips in mind when doing your research, and you can be sure that your balloon surprise will be a big success! If you are in a hurry, simply choose from one of the beautiful balloon bouquets below. Whether it's a birthday, anniversary, get well, child birth or to say "I love you," you'll deliver your special message in style. Flowers Fast is a member of the Florists' Transworld Delivery network (FTD), ensuring that your balloon order is being delivered the same day to the happy recipient.